President of the Federation of American Societies for Experimental Biology (FASEB) William T. Talman, MD, agreed with the President’s vision . We [FASEB] wholeheartedly agree with the President’s emphasis on education and research. 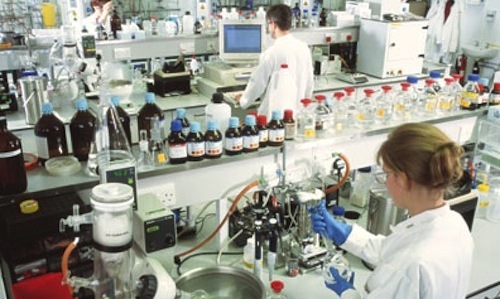 We are especially pleased to hear that he will make investment in biomedical research a priority in his 2012 budget. This will promote innovation, create new technologies, improve health, and revitalize the economy. It is also gratifying to the thousands of young Americans who have dedicated themselves to pursuit of careers in science and engineering, and this will inspire others to follow their lead. They will know that the nation values their contributions. The Federation of American Societies for Experimental Biology (FASEB) — the nation’s largest coalition of biomedical researchers — represents 23 scientific societies and over 100,000 researchers worldwide. FASEB is recognized as the policy voice of biological and biomedical researchers. The Federation’s mission is to advance health and welfare by promoting progress and education in biological and biomedical sciences through service to our member societies and collaborative advocacy. An overwhelming majority of Americans who watched President Obama’s State of the Union address Tuesday night also approved of his message. A CNN/Opinion Research poll found 84% of speech-watchers reacted positively to his message, 52% very positively . A CBS News poll found similar numbers — 91% of watchers approved of the proposals the president made . Since 2008, then candidate Barack Obama looked to renew the U.S. government’s commitment to investment in biomedical research. In 2010, the American Recovery and Reinvestment Act (ARRA) invested in the future of America’s health and revitalized the biomedical research community. Here at Highlight HEALTH, we support the president’s mission to prioritize science and health in 2011. Transcript: Obama’s State Of The Union Address. NPR. 2011 Jan 25. President Obama Calls for Increased Investment in Science, including Biomedical Research. FASEB Press Release. 2011 Jan 26. CNN Poll: More than half of speech watchers have very positive reaction. CNN. 2011 Jan 25. Poll: High Marks for Obama’s State of the Union Speech. CBS News. 2011 Jan 25.